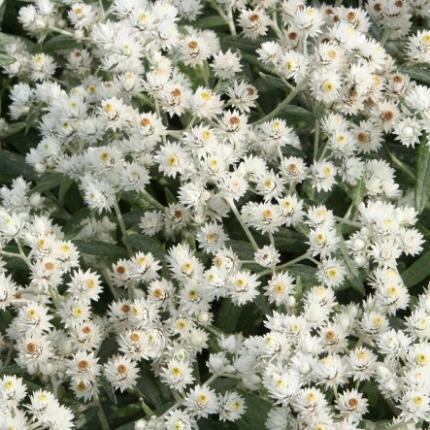 Shorter than straight triplinervis, Silver grey wooly linear leaves topped by clusters of everlasting white button flowers open with a yellow centre, July to August. Sun and good drainage. 30cm tall. Good in containers.